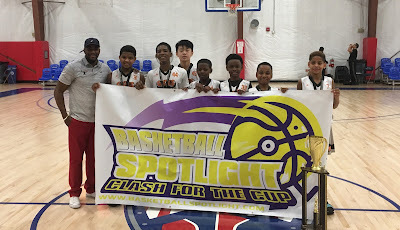 BASKETBALL SPOTLIGHT NEWS: Basketball Spotlight Clash For The Cup 5th Grade Orange Division Championship Recap: NYC Gauchos Hold It Down! Basketball Spotlight Clash For The Cup 5th Grade Orange Division Championship Recap: NYC Gauchos Hold It Down! NYC Gauchos showed their strength by defeating Team Thrill 37-32 to win the Basketball Spotlight Clash For The Cup 5th Grade Orange Division Championship. Congrats to both teams for making it to the finals. Stay tuned as Basketball Spotlight bring you tons of coverage from the Clash For The Cup.